On a long road trip down to my hometown in Southern California, I noticed lots of things about traffic interactions. The social life of the interstate buzzed in my mind, as I grappled with my ongoing riddle of how infrastructure and behavior impact each other in traffic. When I got home to Seattle, sadness awaited. Three people who got around on bikes had died, two killed by motorists in one week. This on top of another long time commuter killed by a left turning motorist earlier in the summer. First I sat shocked, thinking about the futility of trying to make our streets safe when some motorists insist on deadly inattention. Then the tears came as I thought about the family of a young man killed while working. Then I just sat. Later that week, a friend pointed out how his grief over recently losing friends to cancer mingled with his frustration about these cyclists' deaths. I knew what he meant. 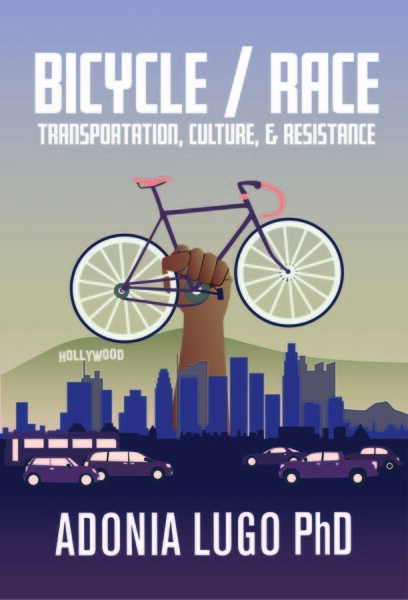 Even though I didn't know any of these people, as a bike advocate, as someone writing a dissertation about traffic interactions and cultural barriers to cycling, I feel overwhelmed by losing them. When I visited Bobby Townsend's memorial, the tears came again. His mother left a large sunflower, and his employer, Jimmy John's Sandwiches, posted a sheet showing how much he'd loved his job (that kid delivered sandwiches like it was going out of style!). He was biking down a popular pedestrian and bike street, the Ave. The driver struck him fatally next to a recently finished public space on Campus Parkway's greenbelt. This proved useful for holding a press conference calling for safer streets a few days after his death. The young man driving a hermetically sealed SUV who menaced me in the crosswalk as I left the memorial may not have understood why I stared at him as I walked. His smirk made it seem like he got that I was being a self righteous pedestrian, but I don't think he could feel the pain coming from that ghost bike across the street. 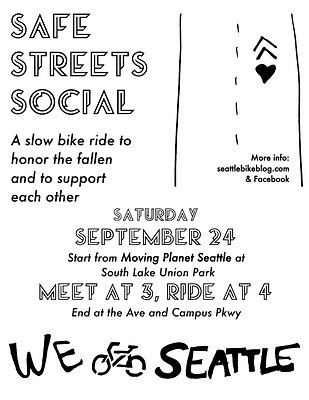 There's going to be a ride on Saturday afternoon, meeting at the Moving Planet Seattle event at Lake Union Park at 3 pm. 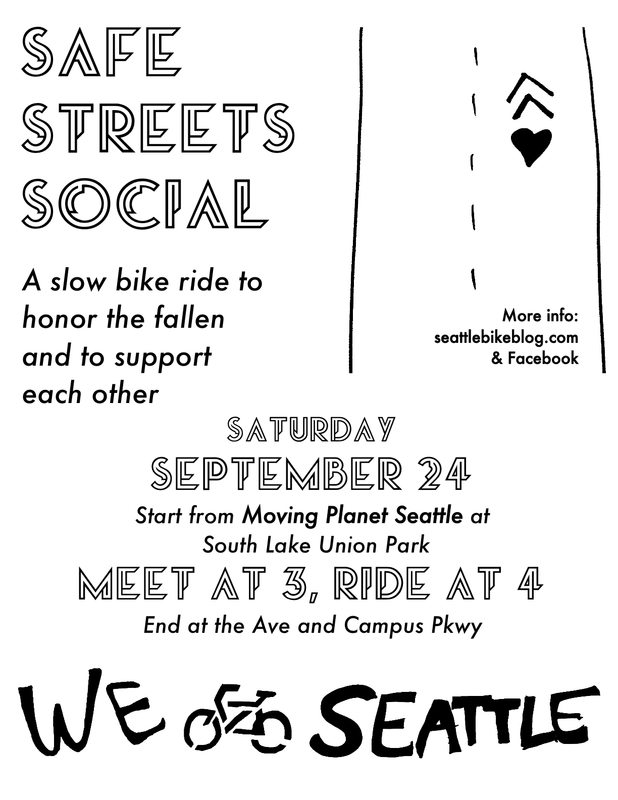 Riding together is a celebration of the social life of our streets, but it will also be a reminder that individuals who choose to overlook this, who gun their way through intersections inhabited by people on bikes and on foot, do not get the right to define our city.